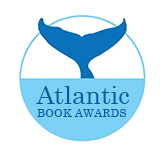 The Atlantic Book Awards Society is looking for nominations for the 2018 Pioneer Award. This award is designed to honour trail blazers and ground-breakers who have made a lasting contribution to the development of the literary arts in Atlantic Canada. The recipient can be from the field of publishing, writing, book-selling, literary arts organizations etc. In keeping with our tradition, since our 2018 Book Awards Gala is being held in Halifax on May 10, the 2018 Pioneer Award recipient will be someone from Nova Scotia, as that is the host province for the Gala this year. Please visit the Pioneer Award page for more information, including nomination guidelines.